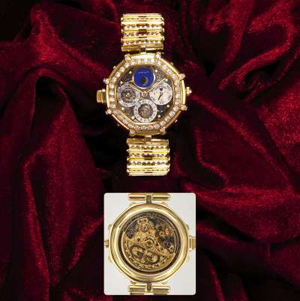 August 25, 2012 in Hong Kong was the next hour Antiquorum Auction, the Total amount of Trading which amounted to 13,650,438 HKD (1.8 Million). 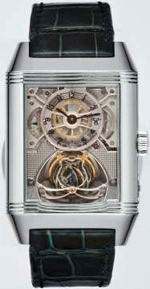 Purchase The Most expensive of the Auction was the model Reverso Gyrotourbillon 2 Platinum from company Jaeger LeCoultre, released in 2009 in limited edition – 75 Copies. Watch with a Platinum Case with a 24-hour display and a tourbillon with two carriages were sold for 1,880,000 HKD (242,000 USD). The following model of Patek Philippe (Ref. 5100) with White Gold was sold for HKD 487.500 (63.000 About us dollars). Hours Were Collected on the Basis of the Mechanism of a 10-Day Power reserve. The model was released in 2000 in a limited edition – 450 copies. Another model of Ref. 130 of the brand Patek Philippe with housing rose gold was bought for 475,000 HKD (61,240 US dollars). The latest model in the ranking of the most expensive watches auction Steel Watch Gerald Genta Ref. 3019 with Perpetual calendar, moon phase Indicator, and a Minute repeater. Model with a Body made of yellow Gold with Diamonds, was made in 1990. The price of the original watch was 462,500 HKD (about 60,000 US dollars).